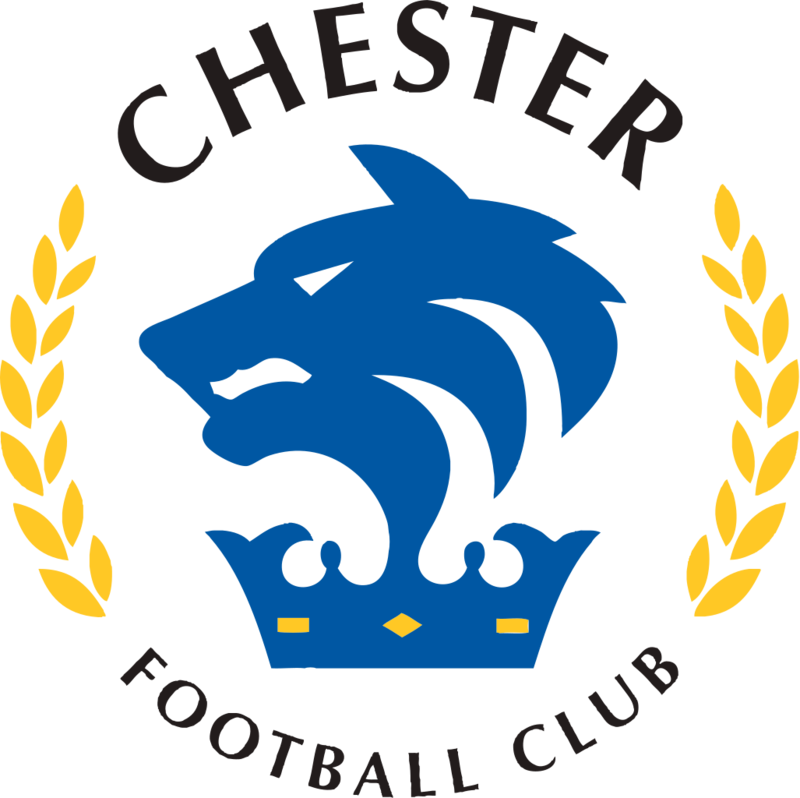 A defensively sound showing earned Chester a goalless draw against league leaders Chorley, at Victory Park. The best chances of the affair first fell to Magpies full-back Matt Challoner at Grant Shenton’s back post, deep into the first half, but the Blackburn-born man sliced his effort wide from six-yards. Then on the opposite side of half-time, the Blues had a golden opportunity of their own to win the contest, substitute Deane Smalley’s effort from close-range palmed behind by Matt Urwin on 80 minutes. Anthony Johnson and Bernard Morley made two changes to the eleven that saw off City of Liverpool at the Swansway 7 days ago, captain Scott Burton returning to action, replacing the injured Gary Roberts. The hosts saw the majority of the ball in the opening exchanges, and created the most dangerous opportunities as a result, this time a corner floated into the box was met by the lurking Josh O’Keefe, the Englishman directing his header from the edge of the penalty area towards Shenton’s far corner, but Chester’s #1 made a stunning diving save to deny the Lancashire side a deserved opener. For their lack of chances on goal, the travelling Blues were resolute defensively in the opening half hour, but grew into the action as Craig Mahon’s inswinging ball was headed out to centre-half Steve Howson on the edge of the box, his left-footed half-volley well over Urwin’s goal. And Mahon was involved again just minutes later, Dan Mooney’s deflected shot falling kindly into the path of the Irishman, but his curled effort sailed, once more, into the Chorley support behind the goal. Then, on 41 minutes, came the best chance of the first half. A ball rolled across the Blues’ penalty area evaded three yellow shirts before defender Challoner arrived at the back post for the Magpies, although his shot from six-yards was sliced wide. Chester’s late first-half pressure spilled over into second, creating a golden opportunity for the visitors. Scott Leather was first into the referee’s notebook as he cropped down Matty Hughes on the edge of the Magpies box, Iwan Murray’s delivery headed agonisingly over Urwin’s bar, by Jon Moran. 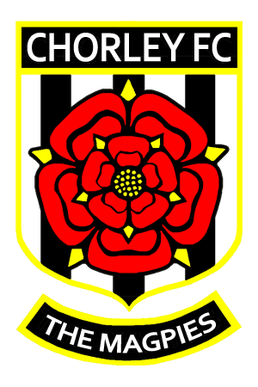 A lively start to the second 45 gave Chorley their first venture forward following the break, top scorer Adam Blakeman has been crucial in both open play and from 12-yards for the Lancashire outfit, on this occasion the full-back was able to weave the ball onto his left but fired just over Shenton’s goal. The Magpies had the ball in the net just after the hour mark, Elliot Newby with a powerful header into the far corner beyond Shenton, but the linesman’s flag was up to the dismay of the hosts. Midfielder Josh Wilson was next in the book as he scythed down Mahon on halfway, his frustrations at not being awarded a free-kick shortly beforehand boiling over with numbers of yellow shirts. Chorley severely struggled to make their chances count in the second half, Newby was next to fire on goal but his effort from the edge of the box was dragged well wide of Shenton’s far post. But perhaps the best opportunity of, not just the second half but the game altogether, fell to the visitors. Mahon with a vintage piece of trickery fooled two Magpies defenders before looping a cross towards substitute Luke Jordan, he headed back across to Deane Smalley, his strike from point-blank range palmed away for a corner superbly, by Urwin. And despite the home side’s pressure in the second half, this would be the last notable action of the game, as referee Andrew Kitchen blew the final whistle as the Blues extend their unbeaten run to seven matches in all competitions, becoming just the second side in eleven attempts to take points off the league leaders. The Seals return to the Swansway Chester Stadium on Tuesday night, to take on Hereford in a rearranged fixture. CHESTER: Shenton, Moran, Grand, Burton, Livesey, Howson, Mooney (Smalley 77), Stopforth, Hughes, Murray (Jordan 64), Mahon. SUBS NOT USED: Thomson, Noble, Pritchard.